The Mazda6 Tourer offers the styling, comfort and exhilarating driving experience of the saloon model with the added practicality of an extended rear. Comprising hard-working engines and the latest features, this is a car that consistently delivers rewarding performance. 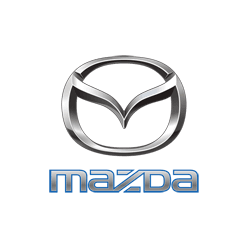 Contact Drift Bridge Mazda in Croydon, Surrey to enquire about the Mazda6 and arrange a test drive with the help of our committed team. The award-winning model will impress from the first glance thanks to Mazda's KODO – Soul of Motion design language. This unique approach to auto design has resulted in a striking vehicle that turns heads wherever it travels. Flared wheel arches and a lowered roofline project an assured aesthetic, complemented by alloy wheels, front fog lights and sophisticated chrome detailing. The Tourer gains roof rails as a further functional addition, while the 'shark fin' aerial is a subtle but welcome inclusion. The carefully crafted interior exudes elegance, merging durable upholstery with soft-touch gloss inlays for a luxurious finish. The cabin has been designed with the driver in mind, creating a separate environment with all the primary functions within easy reach. Head and leg room is ample, and flexible seating arrangements maximise the Tourer's storage capacity. SKYACTIV Technology is Mazda's pioneering vehicle technology development, improving the Mazda6's green credentials and safety capabilities. The technology includes i-Stop start/stop system to limit idling and reduce CO2 emission output as a result. It also influences the model's platform, enabling an ultra-strong and rigid frame to be created for maximum protection. The SKYACTIV-D 2.2-litre engine has the lowest compression ratio of any other diesel in the world, delivering sprightly acceleration not usually found with the fuel type. Cruise control and engine push button start provides greater convenience, while an integrated colour touchscreen, Bluetooth, aux input, USB port and trip computer are also found as standard. With the new Mazda6, you benefit from a multitude of safety systems designed to protect all road-users. Dynamic Stability Control (DSC) with Traction Control System (TCS) work to keep you in complete control, and join Emergency Stop Signalling system (ESS) as preventative measures. Airbags have been placed in strategic positions throughout the cabin to minimise the impact of a collision, and the front passenger airbag can be switched off if a child seat is fitted. ISOFIX child seat anchorages can also be found on the rear bench.